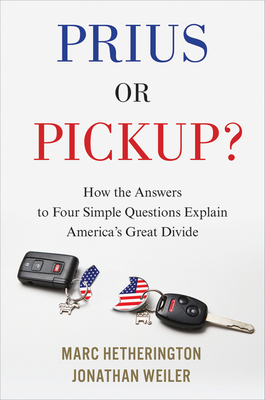 Two award-winning political scientists provide the psychological key to America’s deadlocked politics, showing that we are divided not by ideologies but something deeper: personality differences that appear in everything from politics to parenting to the workplace to TV preferences, and which would be innocuous if only we could decouple them from our noxious political debate. What’s in your garage: a Prius or a pickup? What’s in your coffee cup: Starbucks or Dunkin’ Donuts? What about your pet: cat or dog? As award-winning political scholars Marc Hetherington and Jonathan Weiler explain, even our smallest choices speak volumes about us—especially when it comes to our personalities and our politics. Liberals and conservatives seem to occupy different worlds because we have fundamentally different worldviews: systems of values that can be quickly diagnosed with a handful of simple parenting questions, but which shape our lives and decisions in the most elemental ways. If we're to overcome our seemingly intractable differences, Hetherington and Weiler show, we must first learn to master the psychological impulses that give rise to them, and to understand how politicians manipulate our mindsets for their own benefit. Drawing on groundbreaking original research, Prius or Pickup? is an incisive, illuminating study of the fracturing of the American mind. Marc Hetherington is the Raymond Dawson Professor of Political Science at the University of North Carolina at Chapel Hill and the author of three previous books, including Authoritarianism and Polarization in American Politics (co-authored with Jonathan Weiler) and Why Washington Won’t Work: Polarization, Political Trust, and the Governing Crisis (with Thomas J. Rudolph), which won the Alexander George Award from the International Society of Political Psychology. Also winner of the Emerging Scholar Award from the Elections, Public Opinion, and Voting Behavior section of the American Political Science Association, he and his work have been widely cited in mainstream media, including the New York Times, the Washington Post, and elsewhere. He lives in Chapel Hill, North Carolina. Jonathan Weiler is Director of Undergraduate Studies and a professor in Global Studies at the University of North Carolina at Chapel Hill, where he received his Ph.D. in political science. In addition to Authoritarianism and Polarization in American Politics (co-authored with Marc Hetherington), he is the author of Human Rights in Russia: A Darker Side of Reform. He has been a regular contributor to the Huffington Post since 2009 and has appeared many times on radio and television to provide analysis of American Politics and other subjects. He lives in Chapel Hill, North Carolina.